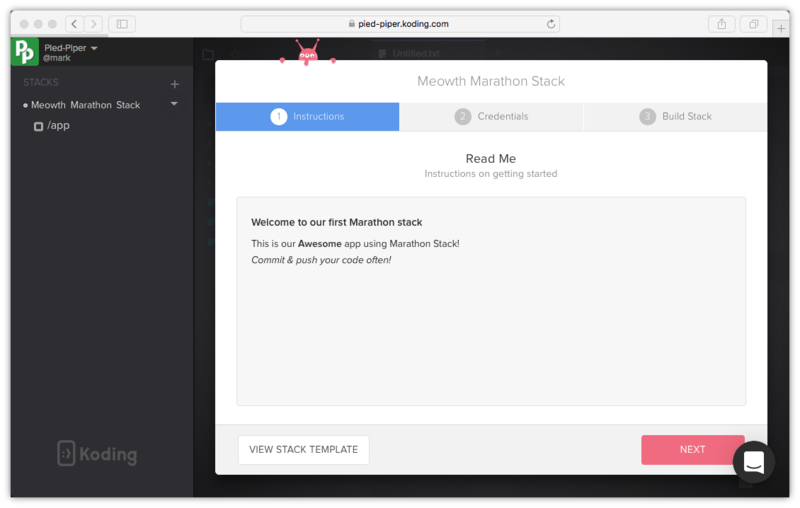 This guide will help you build a Marathon stack. 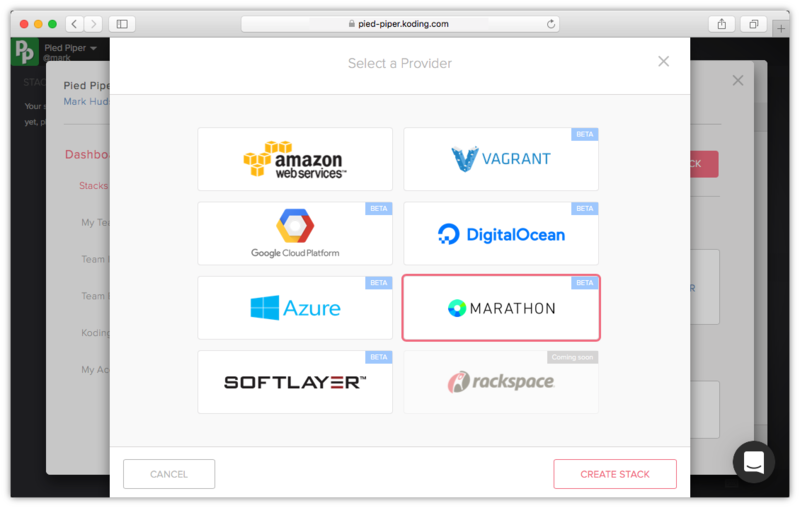 Marathon is a production-grade container orchestration platform for Mesosphere’s Datacenter Operating System (DC/OS) and Apache Mesos. 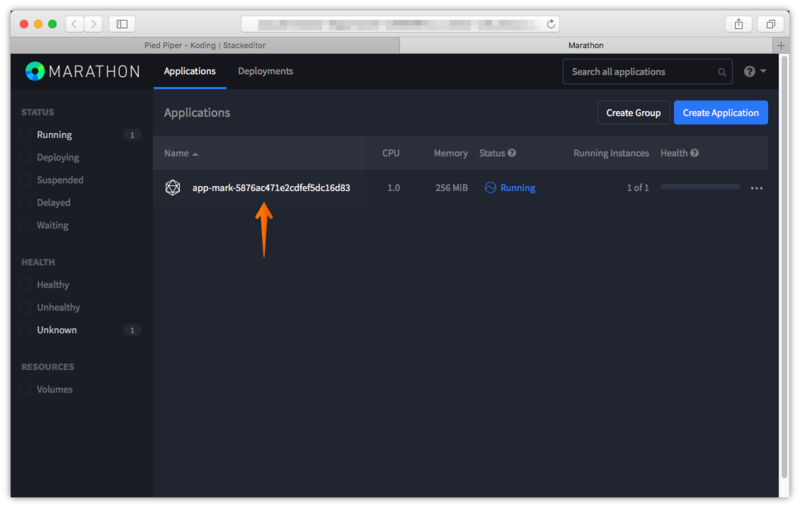 You can configure the number of VMs and applications installed on each VM instance. Along with configuring VMs size. 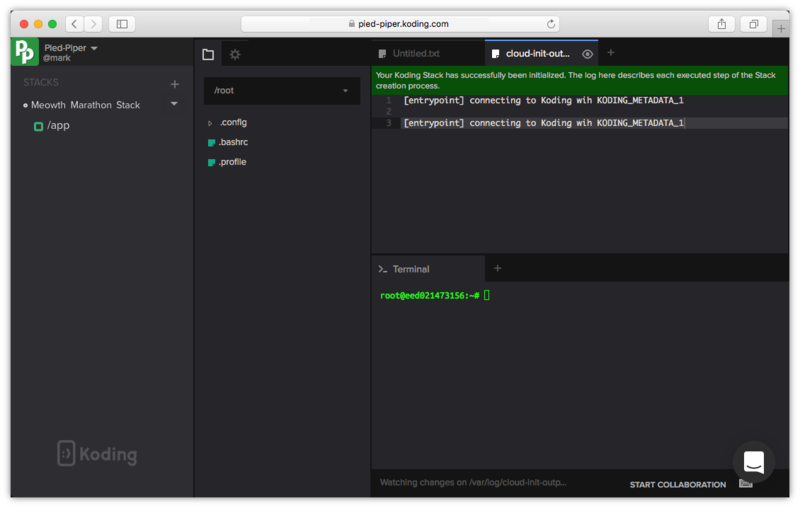 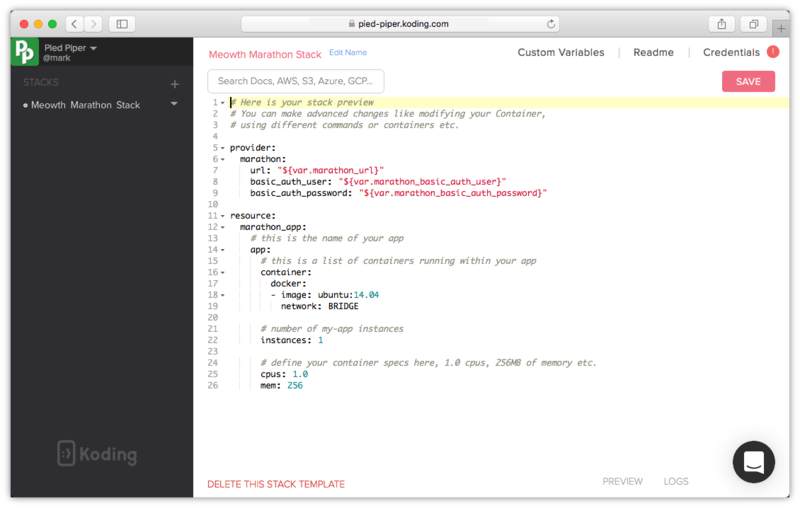 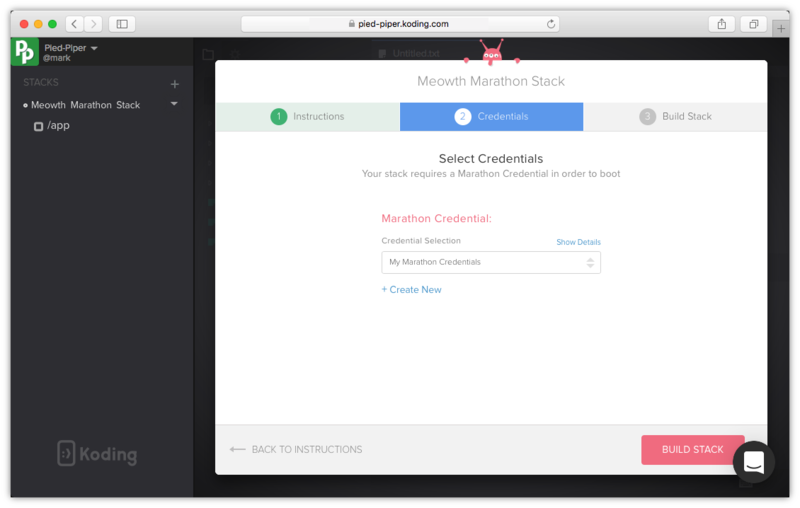 Your new team members will be able to use your stack to build their VMs environment and start working from day one. Your stack was successfully built. Click Start Coding to start using your new VM.